Creeping Rosemary Wall 2013-009, originally uploaded by Judi FitzPatrick Studio. 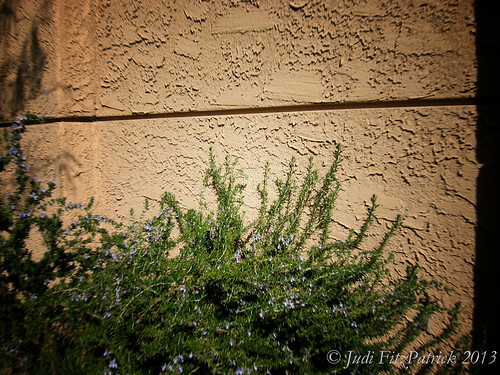 This rosemary was so fragrant basking in the sun next to this wall. Found this at the financial office where I had an early PM appointment. When I got back home, it was in the 70s, so I sat out reading this afternoon in sleeveless top for an hour or so. Then on to exercise class. Lomo filter applied in GIMP. Nothing changed in LR except the resolution and copyright.